The term Adaptive is gaining popularity, and unfortunately so are the accompanying misuse and misunderstanding of the term. Adaptiveness is a concept that forms the cornerstone of our The Illinois Model. We take it so seriously that we argue one must accept and understand it to appreciate the rest of our Model. There is a certain connectivity between Generalism and Adaptiveness. They are not equals. They are not interchangeable. But there is a relatedness. Generalism is the practice of maintaining a broad set of skills or knowledge. Generalists are decent at everything. They are jacks-of-all-trades. The risk of being a generalist is that one does not "specialize" in any one (or few) topics. Generalists have a pool of training and experience that is broad, but not deep. Conversely, specialists have a narrow skill set, but are expert in that one or few areas. Generalists have an advantage over Specialists in the unknown or unpredictable future. Whatever the future holds, the generalist will acceptably handle the situation, problem, or question. The result may not be the most ideal or accurate, however it will be reasonable. THINK: diversified financial portfolio; emergency physician; local handyman; Trivial Pursuit boardgame; black dress shoes. Specialists hold an advantage over Generalists in the known or predictable future...as long as the specialization is related to the area of specialty. When a hospital patient learns of his/her ailment, s/he moves from a general practitioner to a doctor whose field of study and care is specific to the injury or disease. A known problem is best handled by one who excels in handling that type of problem. Specialists also have an edge if the unknown future ends up with a situation in the specialist's area of expertise! As an example, the game show Jeopardy is built upon a broad and wide scope of knowledge. However, a contestant with a narrow band of knowledge can win as long as his/her topics of expertise are those tested on the show. But over time, that "specialist" contestant will not fare well over several games of Jeopardy; generalists have an overall and long term edge. There is middle ground on this theory. The term bias best captures this. To have a bias is to blend the benefits of generalist and specialist, by having broad experience but also having extra preparation in several aspects. In the world of functional physical fitness, CrossFit is a very well-rounded approach. However, some CrossFitters put extra time into building powerlifting or Olympic lifts. These athletes put a bias on strength or power (as related to the other fitness attributes in the CrossFit system). The spectrum between generalist and specialist is very organic and flexible. There are many types of change. Some change is rapid and catalcysmic - the sudden death of a spouse, an earthquake, or the flip of a lightswitch. Other change is so slow the differences are almost undistinguishable as they occur - the daily growth of a child, a rising tide, increase in reliance on social media, or global warming (not that I'm suggesting it even exists!) Some change is highly predictable - the phases of the moon, the birth of a child, or the programmed ringing of church bells. Some change is unexpected - an assassination of a head of state, spilled milk, or a violent traffic crash. Some change is frequent - the daily specials at a favorite restaurant or the color of the sunset. Some events of change are infrequent or unlikely - terrorist attacks or winning millions in the state lottery. But change happens. In fact, sometimes we purposely cause change! Whether the change in situation or environment has huge or small impact; occurs in a moment or over millennia; predictable or not. Those who can adjust to these changes have an upper hand over those who cannot. Survival can be measured by: preservation of life, financial success, a lasting business venture, having fun on vacation, or not being embarrassed. Adaptiveness is the ability to respond to change in situation. According to (Charles) Darwin's Origin of Species, it is not the most intellectual of the species that survives; it is not the strongest that survives; but the species that survives is the one that is able best to adapt and adjust to the changing environment in which it finds itself. Applying this theoretical concept to us as individuals, we can state that the civilization that is able to survive is the one that is able to adapt to the changing physical, social, political, moral, and spiritual environment in which it finds itself. -- Leon C Meggison, professor of Management and Marketing, Louisiana St U at Baton Rouge, 1963. The ability to respond to (or the actual/perceived response to) change can be measured in a number of ways. Two main factors of responsiveness that can be evaluated are Speed and Accuracy. Speed relates to the timeliness or how quickly/slowly the actor's recognition or response was/is. Accuracy relates to the reasonableness, preference, correctness, efficacy, or efficiency of the actor's response. Who fares better: the chameleon who changes immediately to a close color of its surroundings? or one who changes a bit more slowly to a perfect shade of the environment? Clearly, this is a theoretic argument, but one that demonstrates the organic and subjective nature of evaluating adaptiveness. So if the ability to adapt to change is required to survive, how does the concept of generalism relate? Generalists are arguably more prepared to deal with an unknown or unknowable future. Their broad and expansive education, equipment, training, and experience bodes well in most circumstances. Simply, their mindset or approach prepares them better for adapting. Corporate travelers understand how packing a small suitcase is ideal for business trips. They select clothing and shoes that serve multiple purposes: formal, casual, social. The same is done by those who take pleasure backpacking trips, like those of US college kids around Europe. Their choices in clothing is general and adaptive. Everyone has that crazy uncle with a pocketknife or multi-tool on his belt. Whether it's a loose screw, or a wire needing a snip, or a cardboard box to be opened, that uncle has his tool at the ready. The tool might have a crappy screwdriver, bottle opener, cork screw, or knife...but it's surely better than nothing. The tool is general and adaptive. Cases can be made for paperback road atlases fitting these requirements. They might not be as efficient as modern GPS, but they don't require batteries or satellites either. The same can be said for those preparing for zombies or the apocalypse. Preppers take a highly generalized approach at stockpiling, which is also highly adaptive for the unknown cause of the end of days. The lists of general and adaptive processes, gear, mindsets, or theories are endless. The Illinois Model "law enforcement operations system" is built upon society's need for adaptive police officers and agencies. We tout the Model as a universal process for police problem-solving. And as such, we contend it is both general and adaptive. Our Model is applicable for any sort of police operation, incident, or call for service. It's used for planning, policy, report writing, and decision-making. It's scalable to any level of seriousness, size/scope of response, or number of police officers on scene. It's responsive to changes in danger, location, time, jurisdiction, seriousness, or even type of situation. At the command level, the Model is used for Incident Command and management. At the strategic level, it's used for understanding the level of governmental intrusion required for a situation. At the tactical level, it relies upon six core conceptual team tactics. Regarding supervision, it balances oversight between rigidity and flexibility. With procedural case law, it is a backbone to determining lawful authority of police officers. The Illinois Model is a training and operations "system" for police officers (and agencies) to broadly prepare for, respond to, and adapt for the unknown and unknowable, as well as the highly predictable. With limited budgets, manpower, time, and resources, training and policy should be dedicated to a set of universal skills and process with a high degree of flexibility. In times of emergency or crisis, humans perform best with simple instructions. We contend that simple is related to broad and generalized concept. We also believe that those who subscribe to a retainable, effective, repeatable, cyclical generalized method are best suited for adapting to change...regardless of the environment or field. Further discussion as to how exactly Generalism and Adaptiveness isn't important for us. For now, we are satisfied with knowing that they simply are related....and that we believe we are onto something special in not only law enforcement circles, but all industry, business, recreation, and life. Are you ready to make the change and adapt? 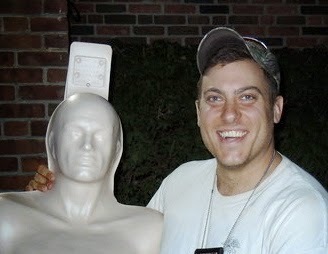 Lou Hayes, Jr. is a police training unit Sergeant in suburban Chicago. He is a student of Adaptive Leader Methodology and carries a Gerber 600 blunt nose pliers. Follow Lou on Twitter at @LouHayesJr. outstanding Louis, well said. Remember adaptability is all about culture. Too many fads out there about for the moment training approach, you have to take the painful strides to evolve one's organizational culture. For those who haven't heard of Donald Vandergriff, I recommend starting here: http://www.amazon.com/Don-Vandergriff/e/B0092WE7HY and looking at his "Raising the Bar" book. 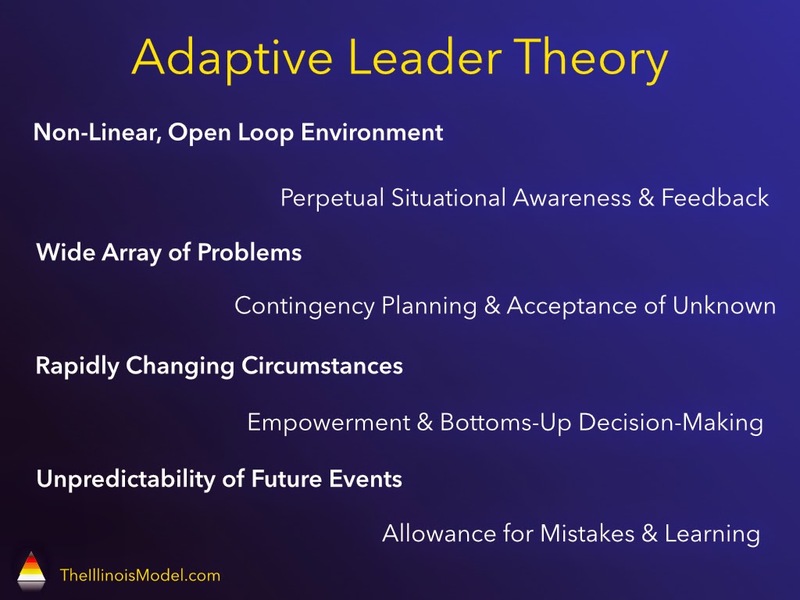 Also his "Adaptive Leader Handbook" with Fred Leland. Both excellent reads! !